Manitoba Public Insurance is reminding drivers to be cautious when purchasing vehicles from the U.S. following Hurricanes Harvey and Irma. 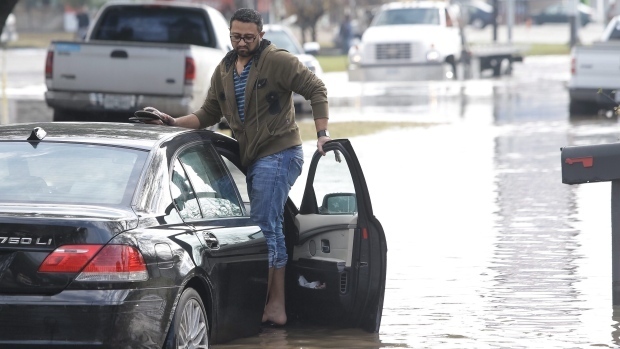 The insurer says more than one million vehicles were damaged in Texas and Florida this summer, and drivers may not be allowed to register a water-damaged vehicle in Manitoba, or even bring one across the border. “It’s always important for consumers to do their homework prior to making a used vehicle purchase,” said Ward Keith, a vice president with MPI, in a release. If purchasing a vehicle, MPI suggests you look up whether it has a record of flood-damage on CarProof or Carfax, and inspectit for signs of water-damage, such as damp or musty odours, rust or mud in the trunk, glove box or beneath the seats, and a water line under the hood. MPI also suggests having a certified automotive technician inspect.